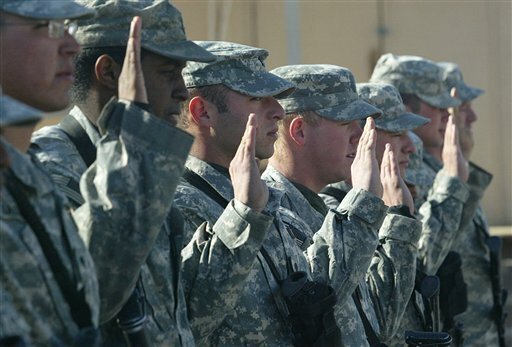 Military retirees who enrolled in the system on or after Oct. 1, 2011, and all new beneficiaries will pay $269.28 a year for an individual, up from $260, and $538.56 for a family, up from $520. The Obama administration had pressed for heftier increases in its proposed fiscal 2013 defense budget along with new enrollment fees for Tricare Standard, Extra and Tricare For Life, the health benefit for Medicare-eligible retirees and their families. The proposal was struck down by the House and Senate Armed Services committees on a bipartisan basis. The Obama administration originally pushed for significantly higher premiums for Tricare enrollees in their fiscal year 2013 budget, as reported by the Washington Free Beacon earlier this year. In July, the administration threatened to veto a defense appropriations bill, in part, because it did not include higher Tricare fees. This entry was posted in National Security and tagged Tricare. Bookmark the permalink.